The E2 gives you the strength and comfort at a affordable price. This table package has the options you need to start practicing massage therapy right away. 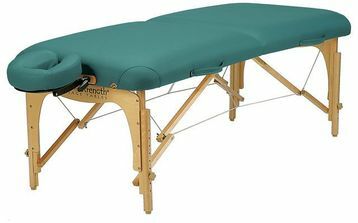 Don't forget to check out other supplies to go with your massage table such as Massage Table Sheets, Bolsters, or Table Cart!